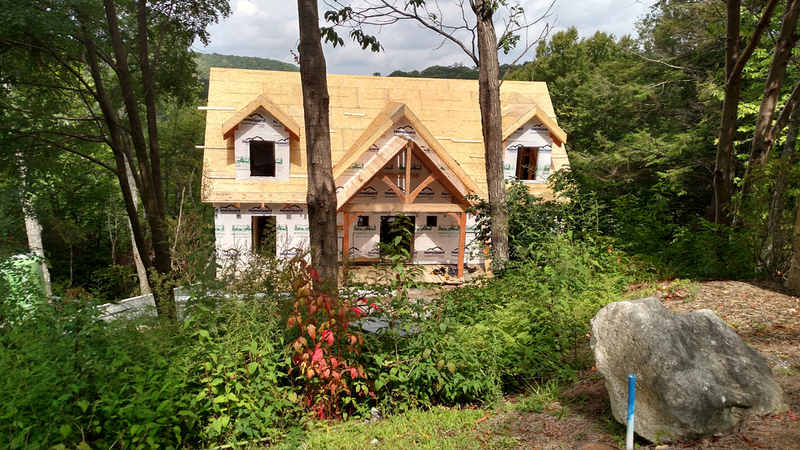 The front porch has been completed with hand hewn beaming and the roof is closed in ready for shingles. The windows are scheduled to be installed this week and siding installation quickly to follow. Beautiful home with a great view in a fantastic Blue Ridge Mountain community along the Eastern Continental Divide. Does not get any better than this!